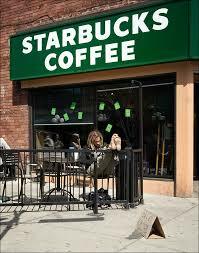 In Chapter Two of my novel, Norman in the Painting, Jill meets her sister, Vivian, at Starbucks. She wants to tell Viv about the strange appearance of the man in the antique store, but she’s worried about her response. Most of the chairs at the tables were full. Since it was a weekday, the patrons were attorneys, jurors, people involved with the court. On the weekends, families, students with laptops, and chatting friends changed the atmosphere to one Jill preferred. She settled into her chair and watched her sister head toward their table. Years of growing up together made it necessary for Jill to know Viv’s current temperament. Vivian’s power walk that caused her full-length black coat to sway and the fringed ends of the long red scarf to flap told Jill something happened to annoy her. Jill slouched in her chair. She should have put make up on and should have chosen a better outfit. Her running suit had worn thin in some spots and sweat from racing down the hill collected under her sports bra. She had pulled her mousy blonde hair, as Viv described the color, into a quick ponytail without combing it first. Viv’s thick, dark hair with mahogany highlights formed a neat bun with a springy curl on each side of her face. Viv’s sense of style worked well for an attorney so why did Jill feel the need to compete? She usually wasn’t concerned about style when she spent most of her time working at home. Most of the action in the story happens on the small town’s main street. Do you have a variety of settings or do you tend to use one more often? Can’t wait to read more……. Thanks, Cyn. I’m thinking of posting a paragraph from each chapter about once a week. See you soon.